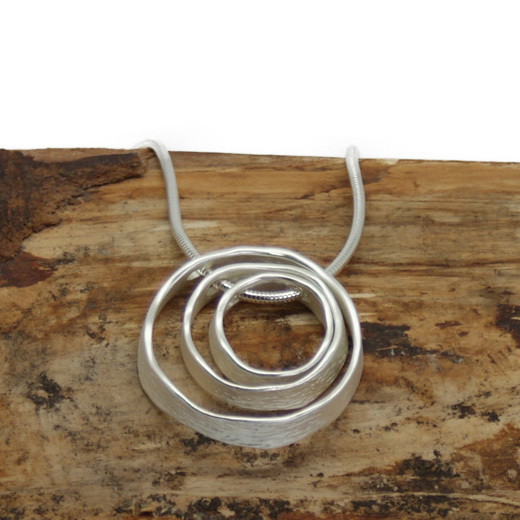 This stylish modern necklace from GE London is made from three varying sized matt silver finsh open circles to give it a wow factor. 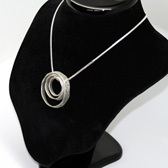 The pendant is on a 16 inch snake chain with a 2 inch adjustable chain link. 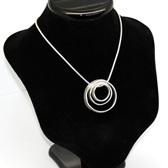 It will add shine to any outfit and make a lovely gift.